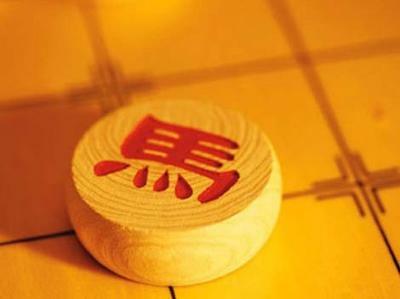 Some believe that Xiangqi was derived from copies of the Elegant Pastime Xiangqi Manual. Indeed, in the original version of the book, on its first page at the top right hand corner, the inscription of "The eighteen variations of the Golden Roc" could be found. The Elegant Pastime Xiangqi Manual could be considered to have included these variations. There is a fairy tale to the origins of this masterpiece. It is said that in the Tang Dynasty (the dynasty before the Ming Dynasty), there was a family with the surname "Pinyin Ba 1" who had a garden full of tangerines. There was a tree in that garden that did not produce any fruit for the first two years. In the third year however, a gigantic tangerine blossomed from that tree. People from the "Pinyin Ba 1" family decided to cut open that gigantic tangerine and lo and behold, there were two old men playing Xiangqi in it. These two old men were also having a bet whereby the wager was nine pots of the best wine for eight pieces of silk cloths. When the two old men saw the family, they transformed into white dragons and flew away. The games that they played were thus collected and named The Secret inside the Tangerine. The The Secret inside the Tangerine is a masterpiece in its own right. Other than the introduction of the various openings, there were also poems of how to play Xiangqi. These poems could be said to be the foundations of the principles of Xiangqi that we know today. Indeed. Great story! Human imagination knows no limits. There are always hidden messages in these old myths and legends. That's probably the point of them. Join in and write your own page! It's easy to do. How? Simply click here to return to Amazing Tales from Xiangqi History.